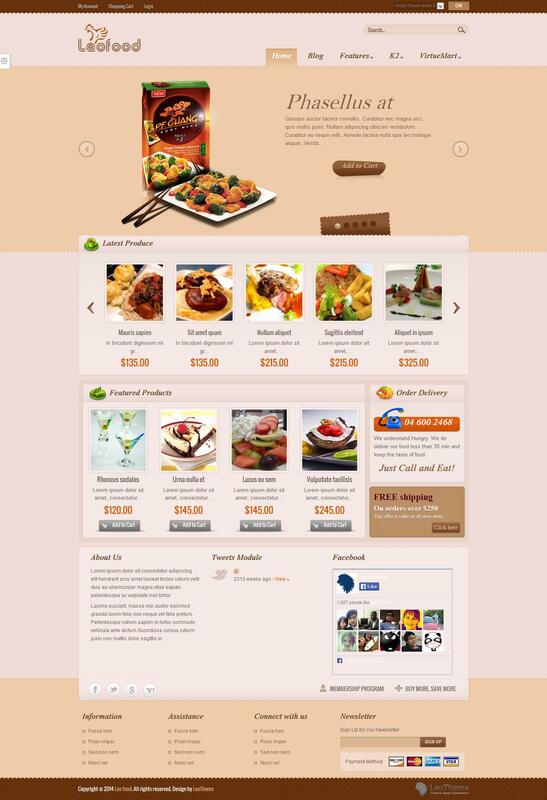 Leo Food - the original template-based online store component VirtueMart, Developed by LeoTheme. Template design worked very efficiently, has 4 preset style color schemes, as well as convenient manager for quick setup of all the layout options: link color, font size, change the background, etc. Studio framework Leo Framework template gives good optimization, fast download speed and full support for mobile and tablet devices. Having the support component K2 and additional styles to it, give the template a special functionality and new features in the publication of materials on this site.